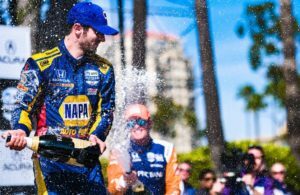 The Verizon IndyCar Championship will be decided Sunday as the series appears for the final time at northern California’s Sonoma Raceway. With double-points on the line, four drivers are still eligible for the series’ crown in the Grand Prix of Sonoma. Race Facts: An Indy car circuit since 1970’s USAC inaugural, the 2.385-mile, 12-turn, natural road course has hosted 14 Indy car races in the heart of Sonoma Valley’s wine country. 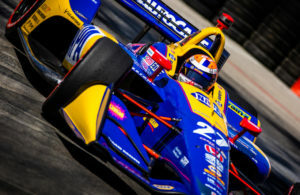 Sunday’s championship decider will run for 202.7 miles (85 laps) before the championship finale moves south in 2019 to Monterey’s Laguna Seca road course. This will be the eleventh road/street race on the 17-race 2018 IndyCar calendar. Simon Pagenaud has won the last two races here for Team Penske Chevrolet. Past Sonoma Races: Dan Gurney beat Mario Andretti and Al Unser Sr. back in 1970, but the Indy cars had to wait for the next Sonoma race until IRL’s 2005-’10 return followed by IndyCar from 2011-present. 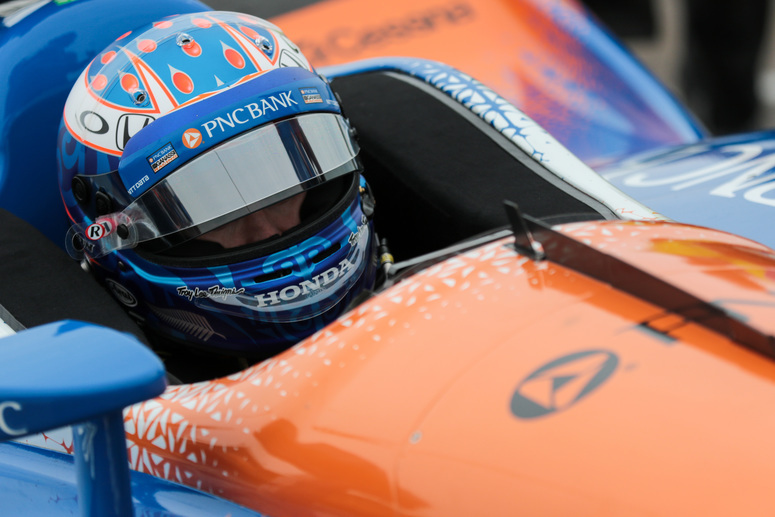 Last year saw eventual champion Josef Newgarden set the qualifying record: 1;15.120/113.691 mph, while race -winner Pagenaud holds the winning mark at 1:55:52.685/104.968 mph. Will Power and Scott Dixon have each won here three times, while Roger Penske’s team has captured seven of the previous 14 contests. In 2017 Pagenaud held off Newgarden for the closely contested race win (each driver led three times for 41 laps) but lost the championship. With his series’ win, the Tennessee native became the first American champion since Ryan Hunter-Reay in 2012. 2018 So Far: Dixon, Rossi, Power and Newgarden have certainly dominated the top of the points charts ever since Indianapolis. Having won 12 of the 16 events so far, the “Big Four” each enter Sonoma with a chance, but not an equal one, of winning the crown. Sunday’s winner will receive 100 points while second place will be worth 80. Either Power or Newgarden (-87 each) would have to see a massive failure at the top to gain the championship; even with double points on the line. So, with Dixon leading Rossi by 29 markers, the true battle rests with them. Dixon is after his fifth championship while Rossi would like number one. No one wants to be too aggressive early-on and risk falling out. Pit stop strategy along with lucky cautions win many IndyCar races and that could be the case Sunday. No one does pit strategy better than The Captain, but his Chevy drivers are third and fourth behind the Hondas of Chip Ganassi and Michael Andretti. As noted, Penske has dominated the winner’s circle over the years. Sunday at Sonoma should be interesting. Other winners in 2018 include: Sebastien Bourdais, James Hinchcliffe and most recently, Takuma Sato at Portland. Honda has won 10 times so far, while Chevrolet trails with six. The Field: Twenty-five cars are entered for the season-ender with the Harding squad bringing the most interesting pair. Indy Lights champion Patricio O’Ward will join with runner-up Colton Herta in what could be a tryout for 2019 IndyCar seats. Meyer Shank returns with Jack Harvey for his sixth race. MS hopes to run perhaps 10 races with Harvey in 2019 and possibly full-time sometime after that. 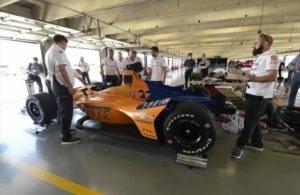 the Indy 500 in 2019, but left the door open for a possible run after that. Total Petroleum will be the primary sponsor for Graham Rahal at Sonoma. Helio Castroneves ran his final full-time IndyCar race last year at Sonoma. Look for him to take another shot at his fourth 500-win next May for Team Penske. TV NBCSN: Practice 1, Friday, 4:00 p.m.ET (Delay)…Practice2, 6:00 p.m. ET (Live)…Qualifying, Saturday, 8:00 p.m.ET (Delay)…Race, Sunday, 6:30 p.m.ET (Live). Our Take: As noted previously, Dixon and Rossi should battle it out for the series’ crown. With perhaps some cautious racing being used Sunday by them, it’s not unlikely that a race win might not be needed to bring home a championship. Given that, someone not in the chase for the championship could win the Grand Prix. If that occurs, we could see Graham Rahal or Zach Veach in victory lane while Dixon or Rossi open the champagne for the series’ win. Stranger things have happened.